In an effort to reorganize my life a bit, I thought I'd start in a small space: the closet. A girl can dream, right? I'm ready to swap out plastic and wire hangers with quality wooden and fabric hangers. 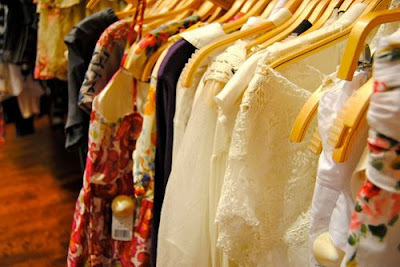 I admire the clothing items I have and have done well throughout the years to take great care of my wardrobe. Fun fact: I still have pieces from 9th grade that I wear on a regular basis. 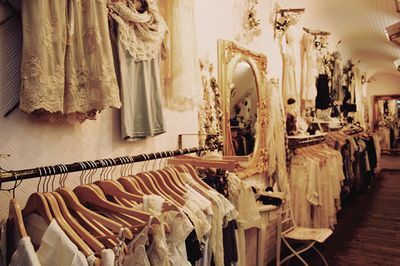 I'd like to think of my closet as another room in the house. 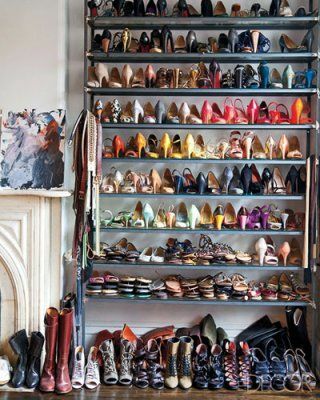 With all the lovely fabrics, textures, colors, and let's not forget, SHOES. Most of my organizing woes stem from my lack of ample space for my shoes. Of course, the possibility of having shelving (as in some of the above photos) isn't in the cards for some of us, but I'll keep my fingers crossed. 1. Arrange your closet based on where you are (physically and/or emotionally). Your geographical location plays a large part. Obviously, if you live in Florida, put the coats in the back of the closet, and even store most of your sweaters in an under-the-bed storage bin. Emotionally, if some items "don't fit" put them in another location, or even donate them to make space for what fits your body well. 2. Keep a consistent system. Choose a system that works for you and your lifestyle. For example, pick a certain day out of the week to do laundry and take dry cleaning. Also, make a point to hang your items shortly out of the dryer to save on ironing time! And, put on your favorite tunes to keep yourself dancing around while folding your t-shirts. 3. Make the most of your space. No matter what size your closet is, make it functional. There are lots of great products that can fit, hang, collapse, and expand to fit your needs. Research and find what works for you. *p.s. In completely unrelated news, my surfer-friend Leah landed front page on Liquid Salt. She's quite the badass. I thought I'd share the love for waves-- take me to the beach! 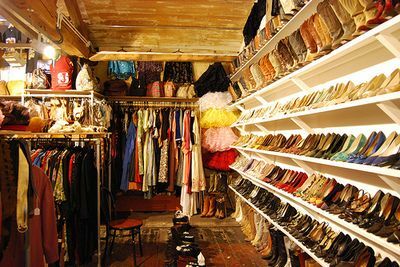 I envy those who can manage to keep their closets organized. I consider it an accomplishment if all of my clean clothes are hanging. Oh the joys of having no time for myself! i'm realizing how expensive it will be to acquire all wooden hangers. this may have to be a gradual process.